Let’s put it this way: you dress for success, don’t you? Well, shouldn’t you do the same for your home when you’re selling it? 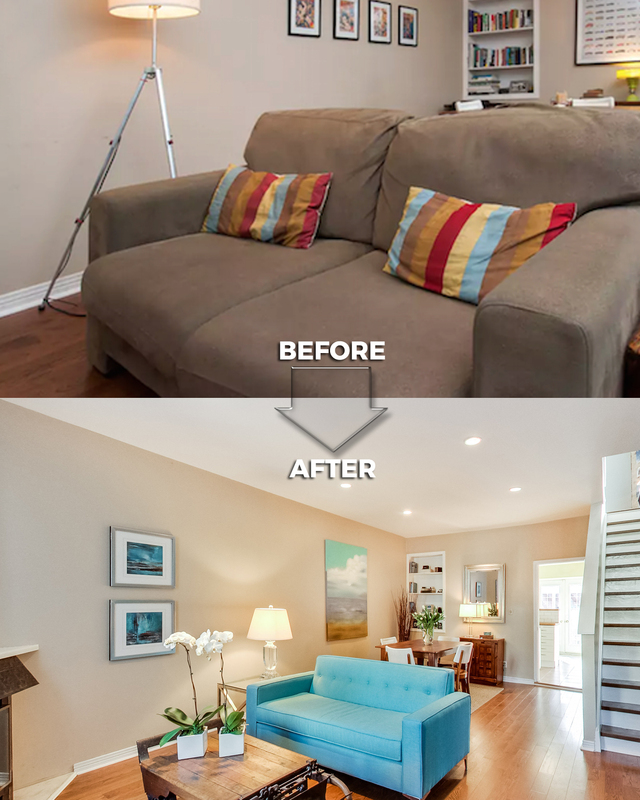 Because that’s essentially what home staging is: dressing up your home so that it goes from house for sale to house sold as quickly and profitably as possible. 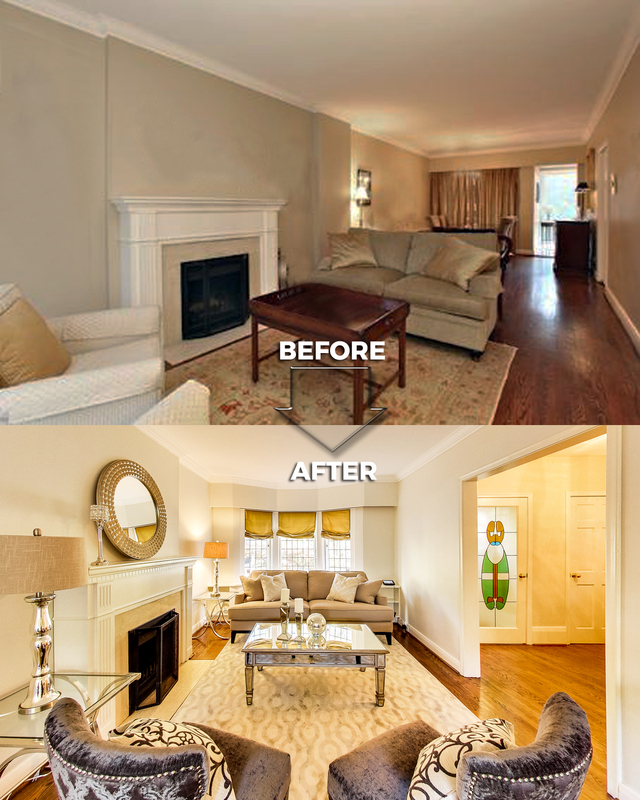 My home staging service (if needed) is always COMPLIMENTARY. I have 3 full-time stagers which provides all my sellers with nothing but high-end, name-brand inventory and a personally tailored home staging plan. 1. When they look at pictures of your listing online and in advertisements. 2. When they drive by your house or condo building. 3. When they physically view and inspect the property. 4. When they look again at the feature sheets after an open house. Bottom line, staged homes SELL FASTER & for MORE MONEY. I will take care of ALL the planning, scheduling and staging at no cost to you. 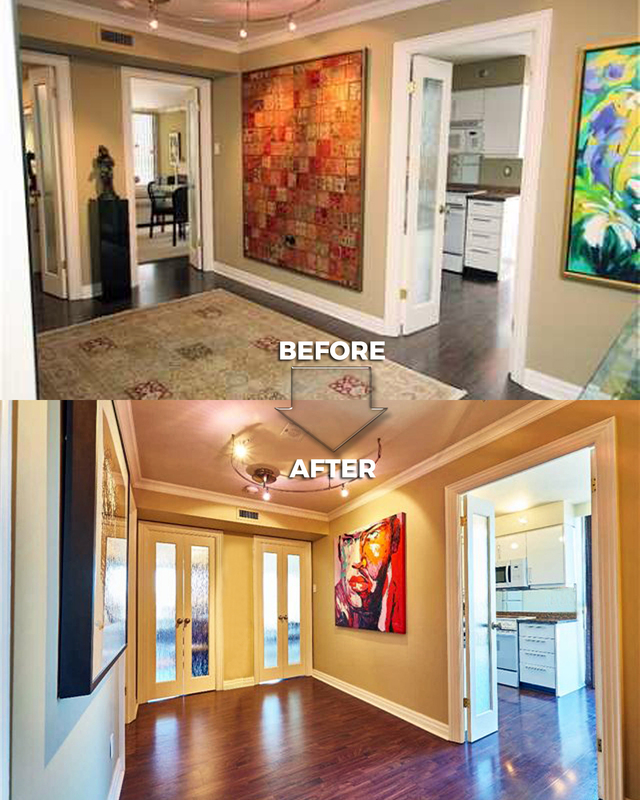 BELOW: From cluttered and drab to open and colourful! 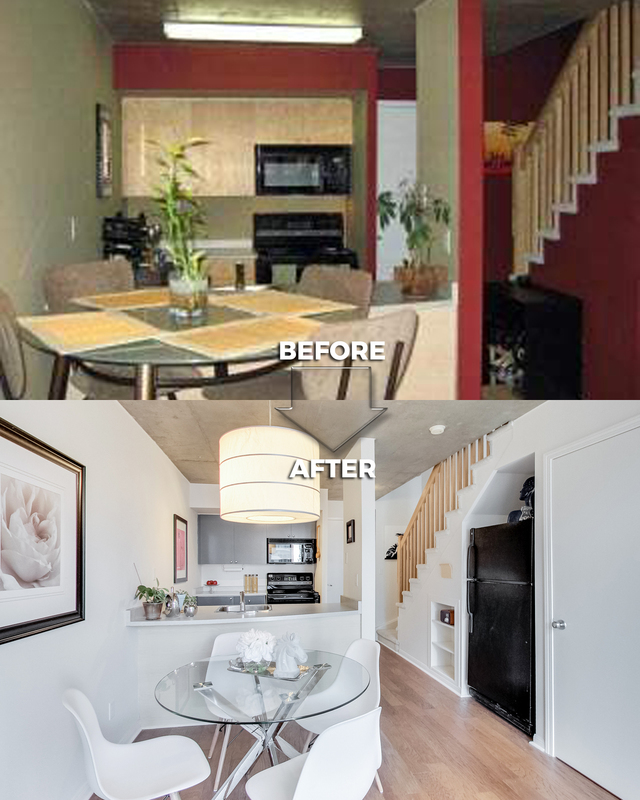 BELOW: From vacant and bare to totally liveable! BELOW: From dark and dreary to bright and warm! BELOW: ...and in most cases; less is more! 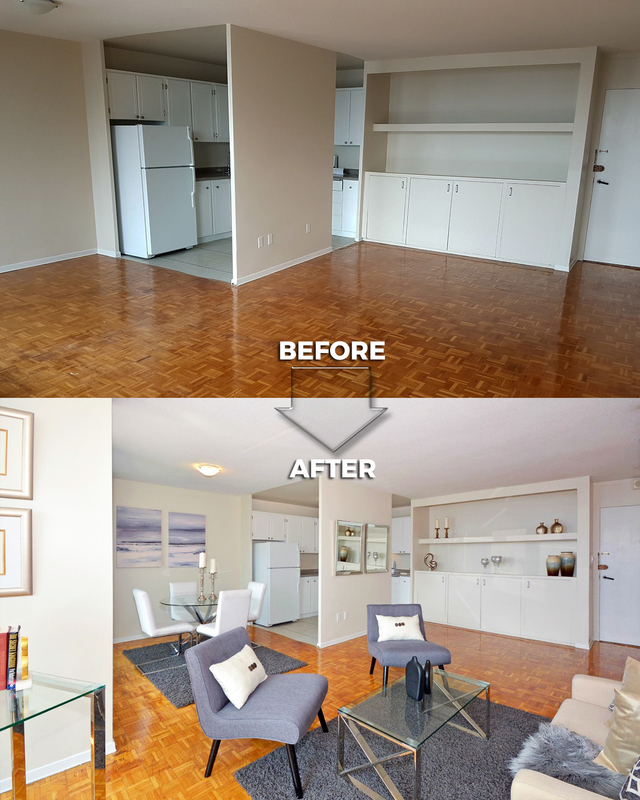 STAGING CREATES THE PERFECT FLOW AND BALANCE OF FUNCTION.